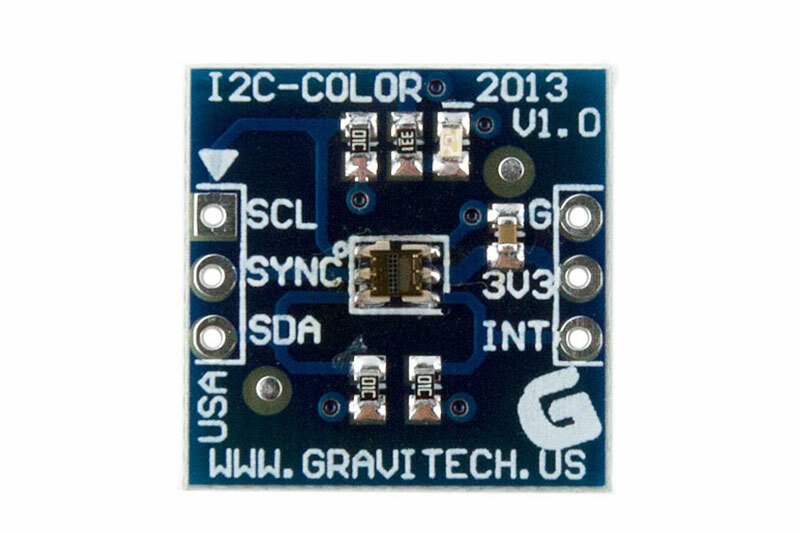 The I2C color level sensor is a 5 pin CMOS device that provides accurate, reliable and fast color sensing. Gives 16-BIG intensity data on red, green, blue, and clear channels. The only connections that are needed are SDA, SCL, VCC, and ground. Using the SYNC pin to externally trigger the unit is optional. An interrupt pin is a programmable interrupt function with user-defined upper and lower threshold settings. 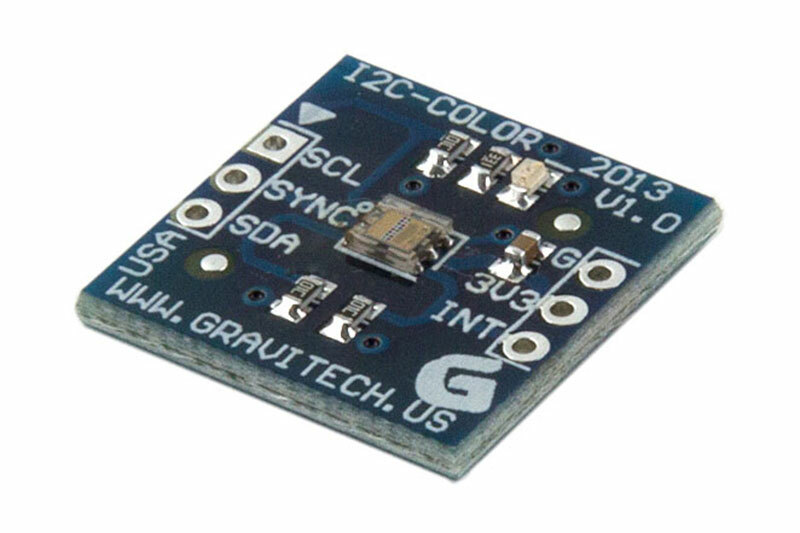 The lower voltage use, coupled with the low energy dissipation makes this an ideal solution for mobile color level sensing applications where battery life is a concern. 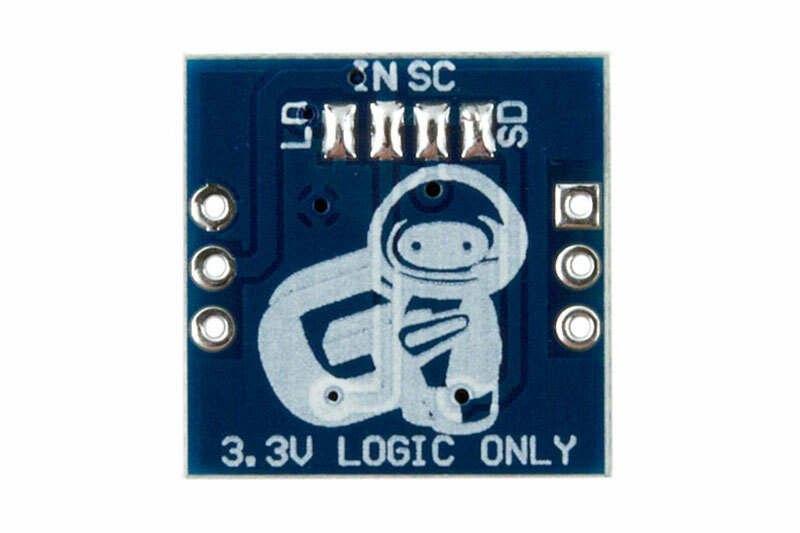 There are many features that set this product apart from the competition: this board works with 3V, meaning low power consumption; utilizing the TCS3414FN series IC, this board dissipates a very small amount of power (1 - 20 milliAmps); convenient I2C bus protocol; 16-bit resolution; analog-digital converters integrated into the chip; 400 KHz maximum frequency; internal or external triggering of unit via the SYNC pin settings; includes all pull-up resistors - no extra components needed. � Small form factor, 0.7" tall x 0.7" wide x 0.1" thick. � SYNC Input Synchronizes Integration Cycle to Modulated Light Sources. 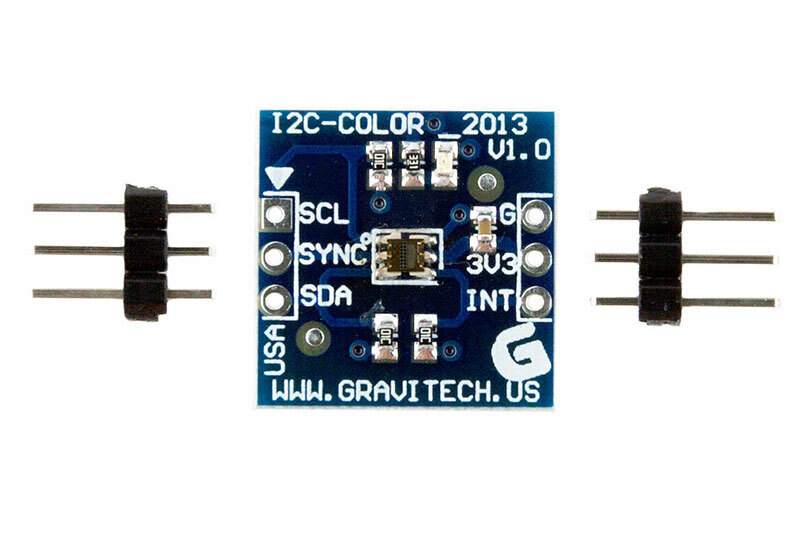 � Easy to use I2C interface. � Low power dissipation for mobile applications. � On board pull-up resistors. � 4 parallel Analog - Digital converters included in chip. � 400 KHz maximum frequency. � RGB channels can be read in one cycle, saving processor cycles. � High quality, two layer PCB. � Easy to read silkscreen.